In Visual Basic 2019, we can write codes that can perform arithmetic operations using standard arithmetic operators. 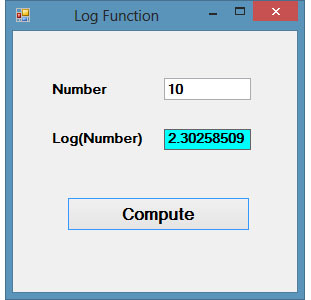 However, for more complex mathematical calculations, we shall use the built-in mathematical functions in Visual Basic 2019. 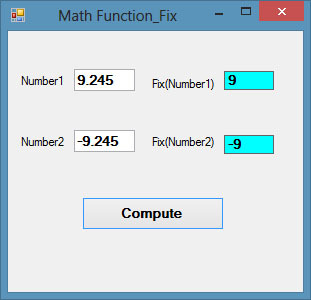 There are numerous built-in mathematical functions in Visual Basic 2019. Among them are Abs, Exp, Fix, Int, Rnd, Round, sqrt and more. We shall deal with trigonometric functions and Financial Functions in coming lessons. 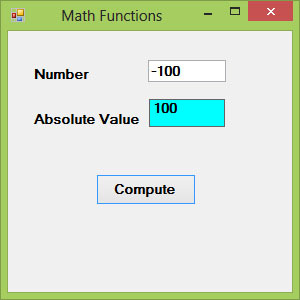 Most mathematical functions belong to the Math class in Visual Basic 2019. However, not all mathematical functions belong to the Math class. 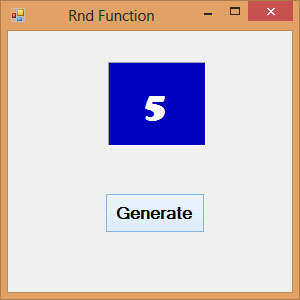 Rnd is a very useful function in Visual Basic 2019. We use the Rnd function to write code that involves chance and probability. 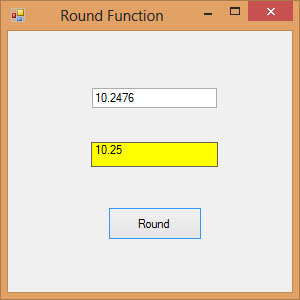 The Rnd function returns a random value between 0 and 1. 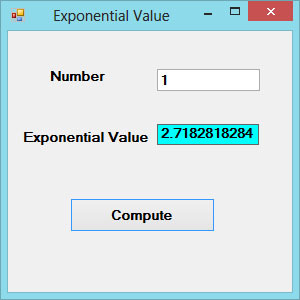 Random numbers in their original form are not very useful in programming until we convert them to integers. For example, if we need to obtain a random output of 6 integers ranging from 1 to 6, which makes the program behave like a virtual dice, we need to convert the random numbers to integers using the formula Int(Rnd*6)+1. Notice that the Rnd() function belongs to the vbMath class in Visual Basic 2017.